Adoption of decentralized systems like Bittorrent, Bitcoin and TOR, coupled with alleged internet traffic surveillance by centralized internet providers and government agencies, is driving the search for decentralized architectures to secure future privacy. This is because internet security and privacy are amongst the most important components of an open society in this era of rapid internet take-up growth and the innovation resulting from evolving technologies. Centralized systems rely on distributed systems for efficiency and scaling, which emphasizes importance of trusting the central authority. This has not been a great model for end-user privacy. On the other hand, peer-to-peer or blockchain-based decentralized systems provide the advantage of security and privacy. With such systems, information about peers or users is not centralized. Interaction is typically localized to a few nodes or between nearby smartphones, an aspect that makes it difficult for adversaries to obtain a global view of the system. Although there is an ongoing debate on the current decentralized systems with regard to efficiency and scalability, SID Limited envisions a bright future for decentralized systems, not just for the internet as a technology, but also as an economy. The company aspires to play a key role in the re-decentralized internet market segment. According to Santosh Yellajosula, Chief Token Officer at SID Limited, the company has entered into a strategic partnership to build decentralized privacy enhancing apps. The Sentinel (SENT) community has been credited for developing the dVPN, one of its first dApps that demonstrate the power of the Sentinel Network. Under the SID-Sentinel partnership, the SENT token will be a part of the SID token economy. SENT tokens will be utilized as a privacy layer for users accessing the SID network, thereby exposing Sentinel’s node hosts to a broader scope and scale of utilization. Also, SID crowdsourced internet sharing will provide internet connectivity to less fortunate members of society and offer an extra layer of security via integration of the Sentinel dVPN. 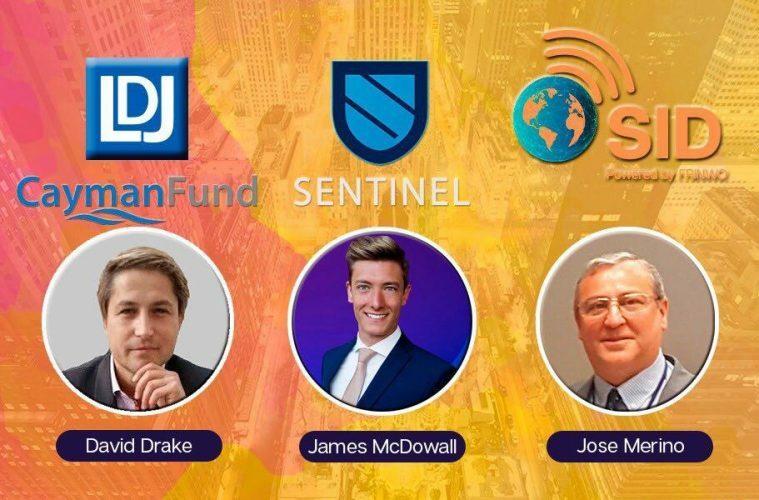 Sentinel’s Advisor, James McDowall supports the collaboration between the two decentralization projects. In his view, the project will have great potential once the components of each partner are integrated at multiple levels and follow best practices of interoperability between tokens. On his part, SID Limited Chairman Jose Merino says, “Having reached the Soft Cap in our initial token offering (ITO) with the recent support from LDJ Cayman Fund, the partnership with Sentinel clearly demonstrates the future potential of SID“. As a company that advocates for internet as a basic human right, SID Limited does not consider access and privacy as elements that should be traded off in future. Its journey to build a decentralized internet sharing system on blockchain technology has not only given importance to the creation of an inclusive token economy around advertising but also to privacy – the power to selectively reveal oneself to the world. The most important aspect of the collaboration between SID Limited and Sentinel is the value proposition the partnership offers users. SID Limited is now embarking on an extensive online marketing campaign through influencers as it anticipates entering into more partnerships in future.